Dr. Vivek Kumar is a board certified Plastic and Cosmetic Surgeon working as a Consultant at Sir Ganga Ram Hospital, New Delhi. 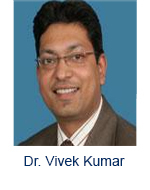 Dr Kumar’s meritorious work has earned him not only a lot of awards and honors but also a mention in the Limca Book of Records 2008 for Surgical Excellence.Armed with a Diplomate of National Board (Plastic Surgery), National Board of Examinations, India, Dr. Kumar went on to sharpen his skills to Instituto Ivo Pitanguy, Rio de Janeirio, Brazil for Cosmetic Surgery Training. Being well versed with the latest and most modern techniques in Cosmetic and Plastic Surgery, Dr. Kumar also successfully completed Advanced Aesthetic Surgery Course at New York, U.S.A, organized by Manhattan EET hospital under New York University of Medicine. Dr. Kumar is a Diplomat of National Board (Plastic Surgery) and active member of various reputed Organizations like International Medical Sciences Academy, Indian Medical Association, National Academy of Medical Sciences and Association of Plastic Surgeons of India. His articles published on many National & International papers. Dr. Kumar is organizing Secretary of AESTHETICS, which is organized every year in India & the leading plastic surgeons & dermatologists of India & abroad come together on a common forum to discuss latest advances in aesthetic medicine & surgery. 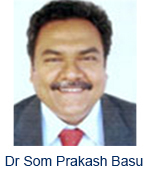 Dr Som Prakash Basu is the Professor of General surgery in the department of General Surgery . His area of specialization includes General Surgery with special interest in colorectal, Hernia, Wound Management. He is the member of several professional Bodies ASI, IMA, ISWM.He has several publications to his credit. 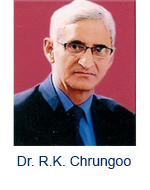 Dr. R.K. Chrungoo is a Professor at Department of Surgery & Urological Division, Government Medical College Srinagar, Kashmir. He is a reputed doctor in the medical field. He has several publications to his credit. He is the Immediate Past President of International College of Surgeons-Indian Section. 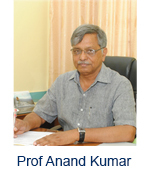 Prof Anand Kumar is a Professor surgery in the department of General Surgery.His area of interests include General Surgery with special interest in Breast, Head & Neck. He has more than 119 publications to his credit. He is the member of several professional bodies. 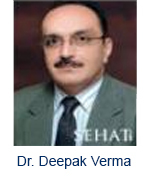 Dr. Deepak Verma is is a Senior Consultant General & Endoscopic Surgeon at Mathura Das Mathur Hospital. He is a specialist in Laparoscopic Surgery, General Surgery. He has several publications to his credit.